The Garden Forum is a meeting of gardeners and would-be gardeners that takes place on the occasional Mondays of each month from 7:00-8:30pm in the Beacon Feed Building (behind Hubbard Hall in Cambridge). Gardening is one of the best ways to enjoy the outdoors, relieve stress, and stay healthy. Share what you know about the art and craft of gardening, and learn from others at these informal gatherings of local gardeners. Program format varies from show-and-tell and round-robin discussions to demonstrations, garden tours, and hands-on projects. Beginning gardeners welcome — we love to share our passion for plants! 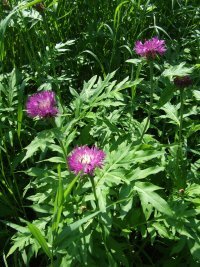 * Garden Forum: Organized Plots against Nature: Monday Jan 23rd at 7 pm Seth Jacobs will discuss weed control strategies, weed biology and tools and techniques for keeping crops ahead of the weeds. Registration is required at www.hubbardhall.org or 518-677-2495. * Garden Forum: Getting Started with Grapes: Monday February 27th at 7 pm (right after the Community Garden informational meeting) Ralph Pagano will share his experience with small-scale production of grapes. The following Saturday he will host a field trip to his vineyard. Registration is required at www.hubbardhall.org or 518-677- 2495. 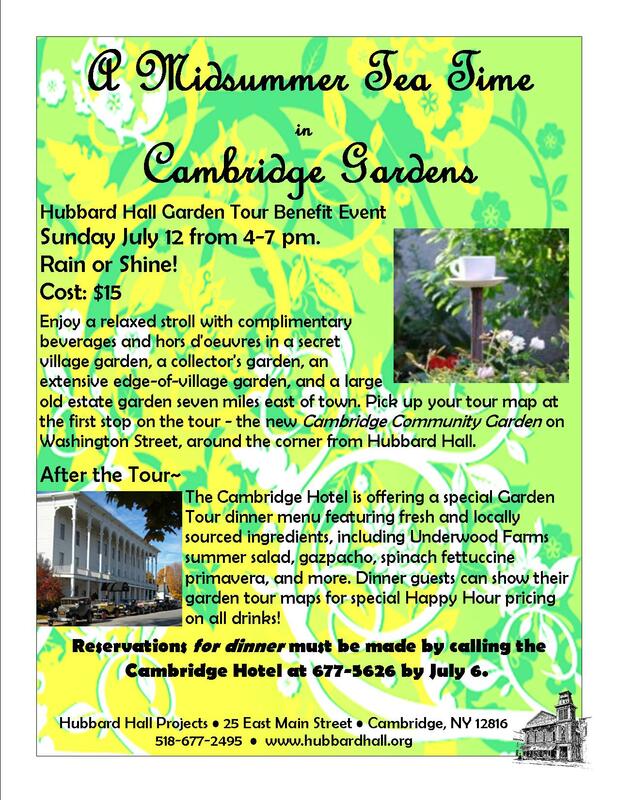 Hubbard Hall Garden Tour: Visit area gardens. There was also a raffle and a dinner to follow at the outdoor wood-fired Quebecois oven. If you are interested in receiving emailed announcements of garden forum meetings, please join the mailing list. Gardeners should also check out the new Cambridge Community Gardens.